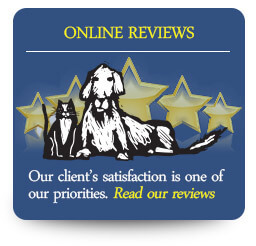 Thank you for considering Kingsbrook Animal Hospital in Frederick, Maryland for your pet’s veterinary needs. Whether you just adopted a new friend or are caring for a family member who has been with you for many years, our veterinarians can assist you in their care. 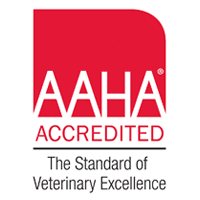 Our website provides photographic and video tours which can give you an overview of our veterinary hospital, but we encourage you to drop by for a personalized tour anytime to find out who we really are. From the moment you walk in to Kingsbrook Animal Hospital, you will notice that it is different than other veterinary hospitals. All of us here at Kingsbrook Animal Hospital thank you for giving us the honor of being your pet's health care provider. We invite you to learn more about what makes Kingsbrook so special from pet owners just like you! For your convenience and to save time during your next visit, we have made our hospital forms available digitally for our clients. Just select, download, and print the applicable form(s) and bring the completed forms to your pet's next visit with us! "My most recent visit to Kingsbrook affirmed why I choose to bring my dog to this wonderful and caring place. They take their time with my pet and we always leave feeling satisfied that she has received the best possible medical care. They are always careful to ask if I have other concerns and I do not feel like any of my concerns are ever minimized. They are the best!" "Everyone at Kingsbrook Animal Hospital has been so friendly, supportive, professional, and informed throughout the years that I've been taking my cats there for care. 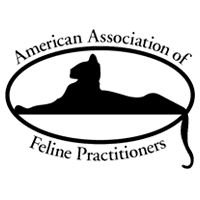 I put my complete trust and confidence in KAH, whether it comes to treating an ailing cat, helping me part with an aged cat, or choosing and caring for a new kitty companion. 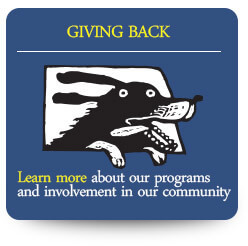 KAH is also a great community member in its involvement in and support of local animal and pet-related causes." "The vets, technicians and receptionists are without a doubt, the best team I have seen at a vet hospital. 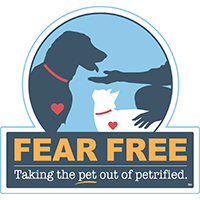 They make it a point to know you and your 4- legged personally and you feel they have a vested interest in the care your pets receive. Even with a large practice, I still feel like me and my family are their only patients when we call or when we have to visit. It feels like an extended family which is very comforting, especially when you have a sick or injured family member. My animals enjoy being there and thats a good thing since they have a tendency to go their frequently! Thank you for being here and so close to home. And thank you for being AWESOME!!! Love you guys!!!" "After moving I had planned to change vets for convenience, however in an emergency situation the "new" vet was of no assistance and KAH was there to save the day. I will make the longer drive to continue to bring my dog there because Kingsbrook can't be beat and truly cares about animals!" 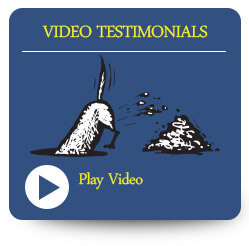 "The staff at KAH are amazing. Everyone is so helpful and friendly and it is abundantly clear that they care about my pets. From check in to diagnosis to treatment and follow up I just couldn't be happier with the doctors and staff I trust to care for my pets. I was given several options for treatment which clearly outlined the cost for each. I never felt pressured to agree to expensive treatments that might be optional but was given the information to explore at my leisure. Thank you so much Dr. Davis and everyone at KAH for being there when we need you!" "Consistently exceptional customer service by every person we come in contact with -- from the front desk, to the veterinarians, to the technicians -- even the ones who aren't working directly with us! Love this place." "The service was as amazing as I've come to expect--everyone listened to me, responded to my concerns, and treated my dog like the individual she is. Thank you!" "Piper always gets excited when he realizes we are going to Kingsbrook. It might be the cheerios but I think it is because we both feel this is our extended family as everyone there is so friendly and loving. If anyone comes out to the lobby they will stop and say hi and pet Piper calling him by name. You can tell they genuinely love all the animals."